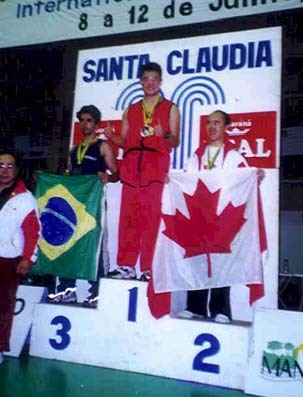 The following are some photos from the 2000 Pan Am games, held in Brazil in June 2000. 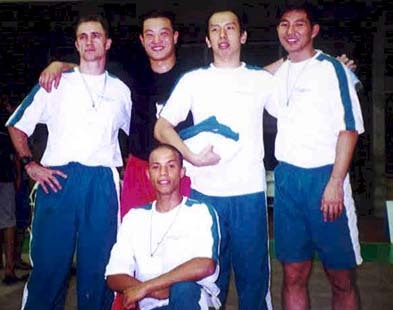 The pictures are courtesy of Phillip Chen, a member of the US Team. I've tried to be as complete as possible in identifying everyone in the pictures, please email me (Raffi) if you can help out. 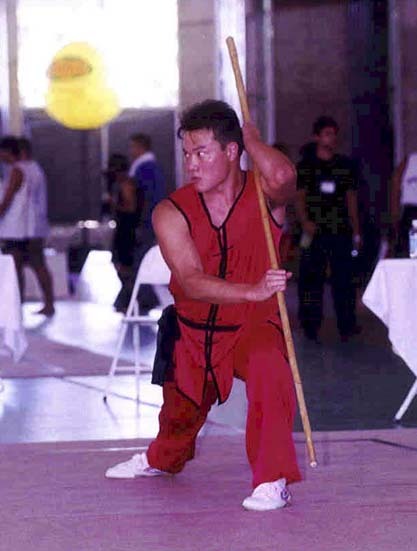 Alan Tang got Men's All-Around. 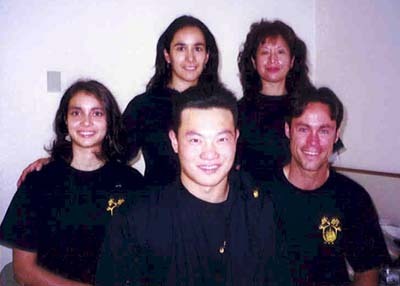 The US Team attending the Pan Am Games - back row is Anita Lopez and Deborah Yang, front row is Vraja Grover, Phillip Chen and Ken Glynn. 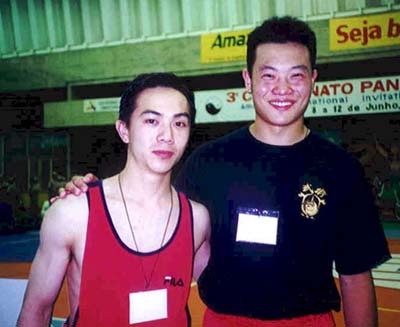 Phillip and Canadian Team member Alan Tang. 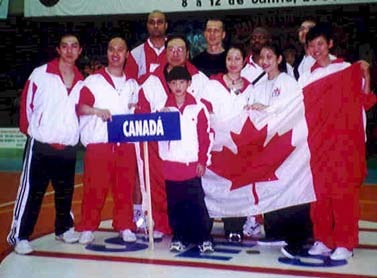 The Canadian Wushu Team attending the competition. 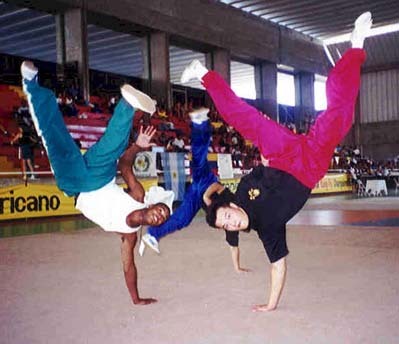 Phillip and an unidentified Capoeira Maestro posing. Click here to go back to beijingwushuteam.com.